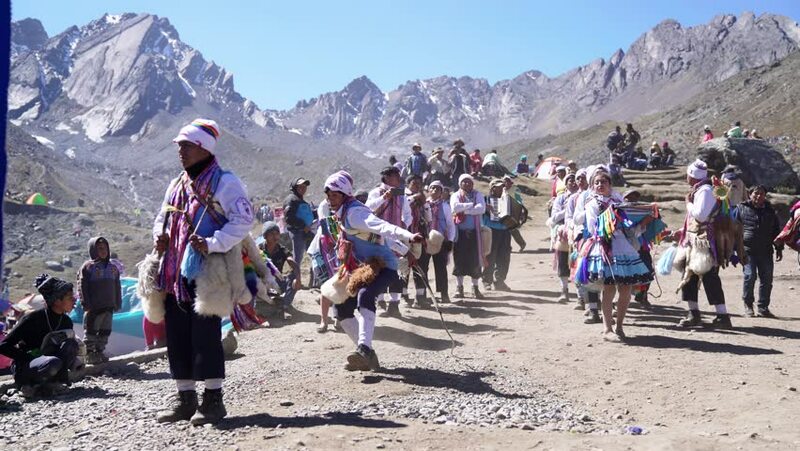 Peruvian Dancers at the Snow Star Festival (Quyllurit'i). Andes, Peru. 4800 m altitude. Andean folk festival. JUNE 2017.
hd00:09Grossglockner, Salzburger Land/ Austria JULY 29 2016: Hiker walking along the Gramsgrubenweg path at Grossglockner Mountain area. hd00:11Group of skiers glide over the crest of a hill and ski out of sight. Snow-capped mountain peaks in the background. 4k00:19Banff, Canada - June 09, 2017: The Columbia Icefield is the largest ice field in the Rocky Mountains of North America. It is located in the Canadian Rockies astride the Continental Divide. hd00:12TOLBACHIK VOLCANO, KAMCHATKA PENINSULA, RUSSIA - JUNE 24, 2016: Hiking on Kamchatka - group of tourists and travelers going on tourist trail of slag on background of cinder cone and lava flow.